This grilled fiery "Spicy Werewolf Kabobs" goes great with fresh pitas, chopped onion, and sour cream to temper the black magic heat! Stir in the garlic, cayenne pepper, salt, and black pepper. Toss the meat in the marinade, cover, and marinate in the refrigerator for at least 2 hours. 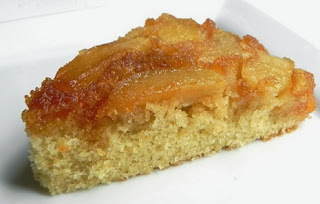 Easy to make and the taste is fantastic. If you're going to busy all day and don't have the time to slave over a stove when you come home "Troll Stew" is the way to go. Season beef chunks with salt and pepper. 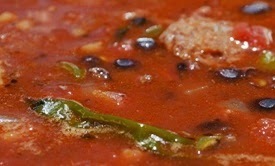 In a large skillet brown the meat; add to crock pot. Sprinkle with the flour and chili powder; mix until the meat is evenly coated. Add the rest of the ingredients except the cheese and stir. Cover with lid cook on low 6-8 hour or on high 4-6 hours. 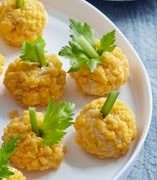 Serve in bowls topped with cheese. 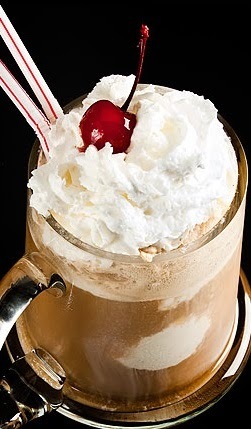 The most popular cocktail I make is the "Twisted Black Crow" it is a delicious combination of dark rum, schnapps, ice cream, chocolate and root beer. 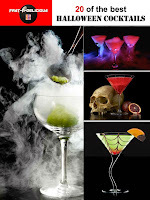 An awesome cocktail that you most definitely have to try. Pour root beer, rum and schnapps into a large picture and gentally mix together. Then pour root beer mixture over 2 scoops of ice cream in a large tumbler glass. Garnish with whipped cream and a maraschino cherry. 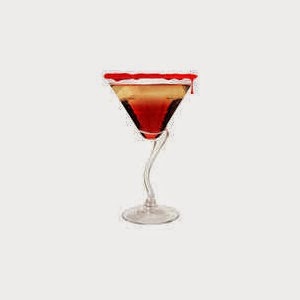 Enjoy this fast-n-delicious "Bloody Cosmopolitan" recipe is perfect for any Halloween Party. Place ice in martini shaker or pitcher. Add enough pomegranate juice mixture to fill shaker. Shake or stir until blended. Pour into chilled stemmed glasses, straining out ice. 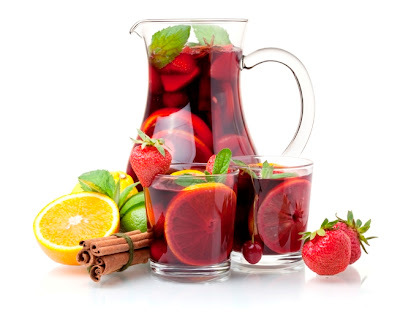 This Quick & Easy "Bloody Sangria" recipes offers a delicious aroma of fresh red cherries and sweet vanilla with a light herbal touch that is hands down the best sangria I have ever had! Pour wine, schnapps, Cranberry juice, and Blood Orange juice to a large container and mix well. Cut orange and lime in half then thinly slice into wedges. Put all the orange and lime wedges into the container with the wine mixture. Rise strawberries and blackberries; (cut tops off the strawberries) and put them both into the container with the wine mixture. Refrigerate for no less than two hours; overnight produces a better flavor. 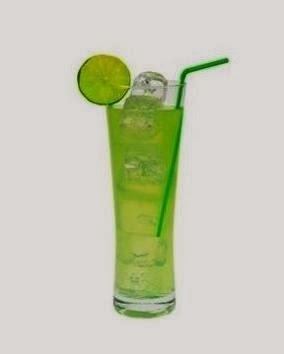 Fill glass with ice and pour mixture over the ice. 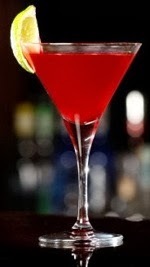 Garnish with a cherry on top and server. 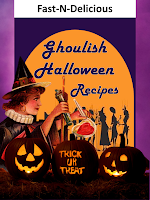 You'll love making Witches Brew. 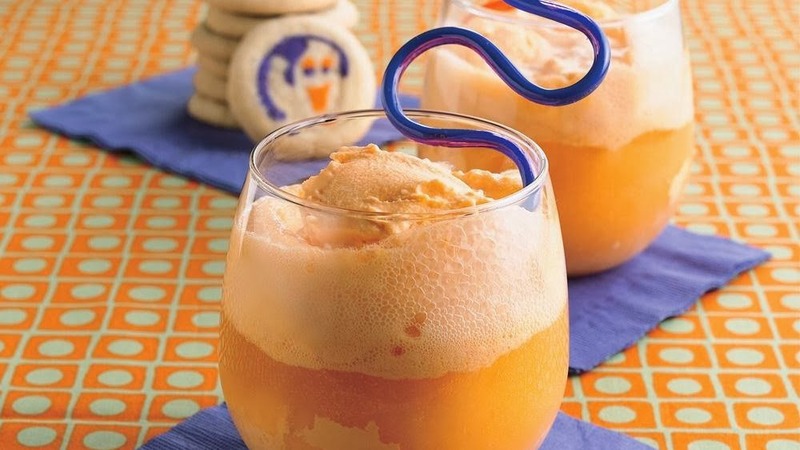 They are the perfect alternative to the root beer float. 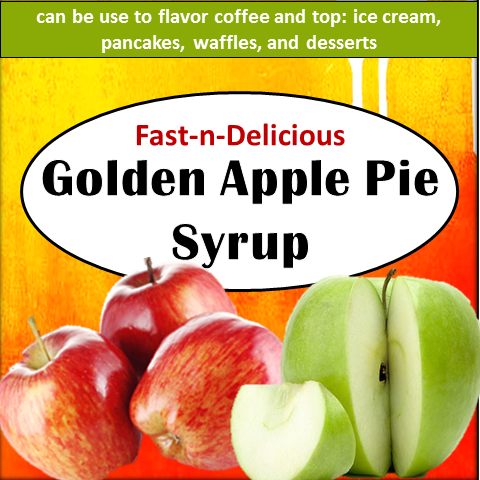 They taste great and your kids will love them! 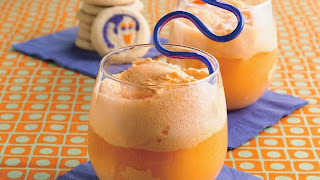 Combine the orange soda, club soda, orange juice and International Delight French Vanilla in a tall glass. 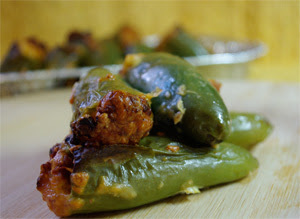 The rich and creamy combination of spices and cheddar cheese nicely contrasts the muted spice of baked jalapeno peppers. Rise jalapenos with cold water and dry. Remove the stems (tops) from jalapenos. 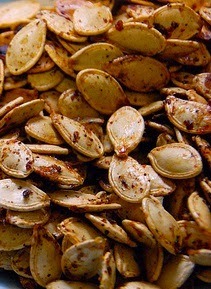 Scrape out the seeds and stuff with cheddar cheese. Place the jalapenos in a large bowl add olive oil, sea salt, ground garlic, black pepper and coriander and toss until all of them are covered with the seasonings and oil. Pour them into your foil pack fold end of foil pack shut.